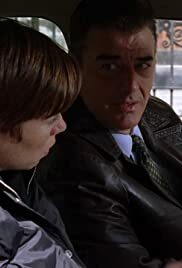 The death of a stripper-turned-celebrity's son appears to be an accidental overdose, but when the woman (Swanson) dies days later after giving birth, the case becomes a homicide investigation that seems to involve the paternity of the newborn. Kristy Swanson gives the performance of a lifetime in this Law and Order: Criminal Intent episode that is based somewhat on the tragic life of Anna Nicole Smith. Without Swanson's powerful work in this entry in the franchise, it would be a rather lackluster episode indeed. However, her portrayal of the sad, lonely, heartbroken figure is one of the truly remarkable parts she has ever played. Kristy Swanson gives the character of Loreli heart, authenticity, and soul. With the magic of her eyes alone, she expresses the love within the woman, the passion, the burning needs that seemingly can never be fulfilled. It is an unforgettably haunting performance and one which was deserving of an Emmy.